Found and run by Aparna Vedapuri Singh and her able team, Women’s Web has articles from women for women. They cover a wide range of topics challenging the status quo of women in society and professional realms. Breaking Barriers is an extension of this mission bringing together women from different walks of life – entrepreneurs, aspiring entrepreneurs, working women, women on a career break – and creates a space for them to network, learn, question and discuss ideas. 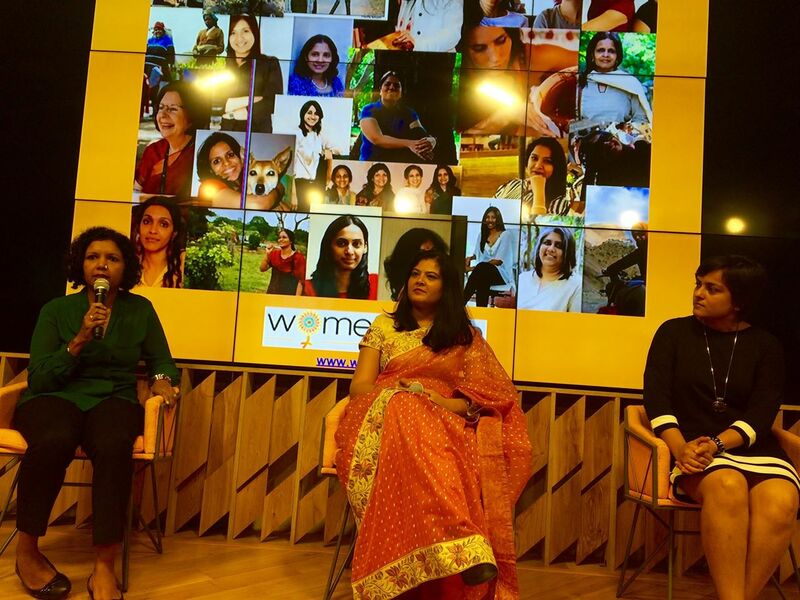 Launched only recently, Breaking Barriers has already become a much awaited event among women who look forward to hearing inspiring stories and share their own. The theme this time “Existing in a crowded market”. There were panel discussions, presentations, marketing pitch panels to cover different areas like using technology, branding on social media and finding your competitive advantage. Like I said, being a part of the panel at such a forum was quite exciting for me. Along side the accomplished people you see below. I was a part of the panel on social media and how one could use it to beat competition and create uniqueness. The moderator (left) Sangeeta Mall is an author and kept the discussion lively with her questions. Ritu Jhajharia, a social media strategist, had wonderful technical insights on how she goes about devising social media plans for her clients. 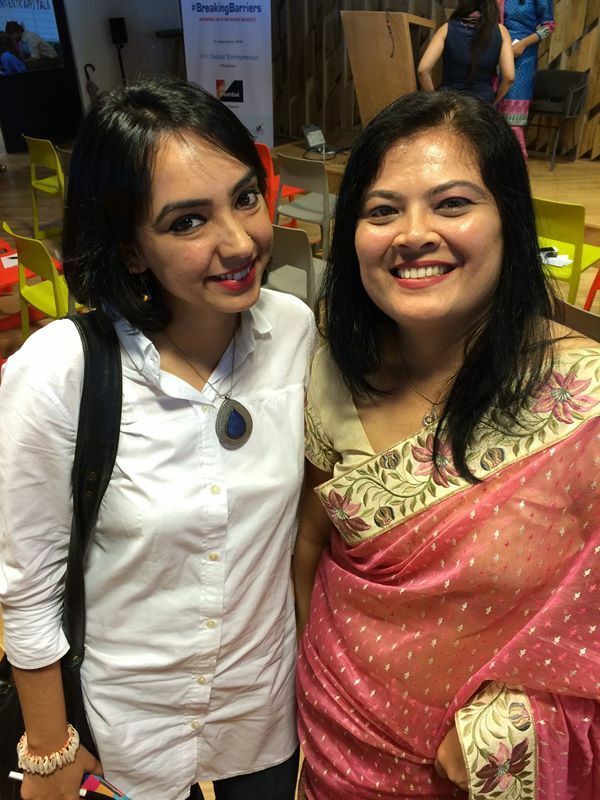 One of the best things that happened was I met Anusha Singh, a real fan of this blog. She has read the posts, watched the videos and wants to build a blog for herself too. She had a folder of her published articles which I went through later and found her to be quite a talented writer. Looking forward to working with her. Such events not just motivate but also invigorate us to go ahead and pursue our dreams fearlessly. 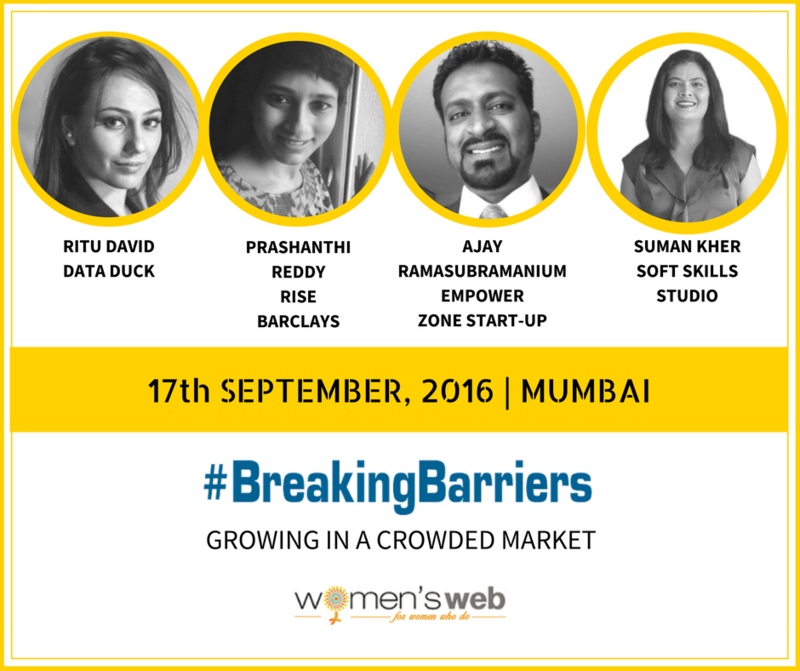 The next Breaking Barriers is happening on the 24th September in Bangalore. Register for it, if you already haven’t. You can also be a part of this awesome community. Find them and like their page on Facebook or follow them on Twitter.